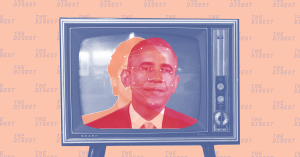 Congress: Deepfakes Could Undermine "Objective Depictions of Reality"
In the early, optimistic days of the internet, we thought it would be a repository of high-quality information. Instead, it’s starting to feel like a bottomless ocean of lies that rewards attention-grabbing disinformation and pollutes the political process. That’s the note of alarm that three members of Congress sounded in a letter this week to Daniel Coats, the U.S. director of national intelligence. In it, the lawmakers warned specifically about the technology called deepfake, which lets computer users with little tech savvy create convincing footage of people doing and saying things that they never actually did. Representatives Adam Schiff (D-CA), Stephanie Murphy (D-FL) and Carlos Curbelo (R-FL) signed the letter to Coats. In it, they requested that the heads of the intelligence community prepare a report that would tell Congress what steps it has planned to fight the dissemination of faked clips. A deepfake hoax of a world leader hasn’t viral — yet. If it does, it will be a test of our collective skepticism — in an age when even genuine information is swiftly politicized online.